A common way to visualize single DNA or RNA molecules in cells is to insert into the target molecule multiple copies of a sequence to which a fluorescently tagged protein can bind. The more copies of the sequence, the more bound fluorescent proteins, the brighter the signal. 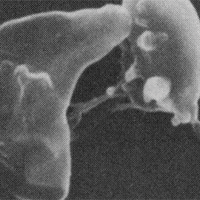 Marvin Tanenbaum, a postdoc in Ronald Vale’s lab at the University of California, San Francisco, thought to himself, “Why don’t we do this for proteins?” So he did. 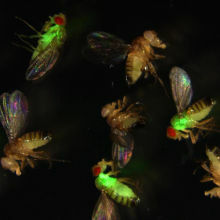 Prior to Tanenbaum’s technique, called SunTag, the main way to visualize a protein in cells was to recode its sequence to contain a fluorescent domain—such as green fluorescent protein (GFP). Proteins with a single GFP domain were often too dim for some types of fluorescent microscopy, however, and adding more GFP domains didn’t always work—the proteins became unfeasibly large. 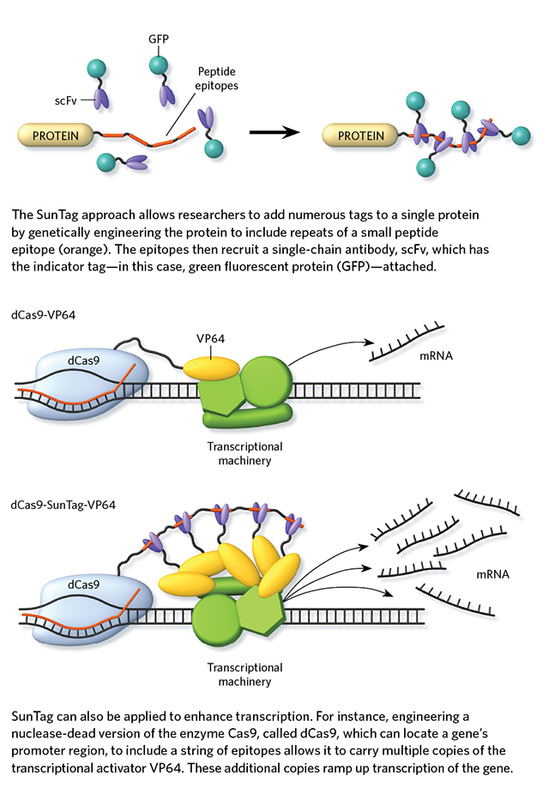 With SunTag, proteins of interest are instead recoded to contain multiple copies (up to 24) of a tiny peptide epitope. 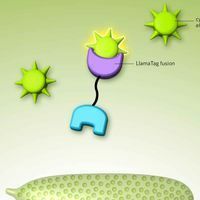 The protein is then coexpressed with GFP-tagged single-chain antibodies that recognize the epitope and grab on. TECHNIQUE HOW IT WORKS SINGLE-MOLECULE IMAGING? POSSIBLE FUSION PROTEINS MULTIPLE COLORS? fluorescence microscopes as signal is too dim Practically any, assuming correct function of fusion protein can be confirmed Yes. Many different fluorescent fusion proteins can be expressed in the same cell.